My post 10 Reasons Why People Don't Go To Church struck a chord with many. The first reason I gave for why people don't go to church is because, frankly, many think Christians are judgmental, negative and critical. I want to ask you, is it true? One young lady once said, 'I don't like working in the cafe on a Sunday, because that's the day the Christians come in.' I had to double check that what she was saying was true. She wasn’t making it up. I wish she was. She was adamant. When the ‘Christians’ came into the café in which she worked, they were demanding, picky, negative and demeaning. I was thinking I could argue and say, ‘Well, that’s just your perception of Christians.’ I could have argued that point, the problem was, however, that her perception was an accurate view of reality. We have all seen the bad caricatures of Christians in secular media; depicted as outdated and irrelevant people, wearing weird clothing. Well, this lady’s view of Christians was true. In this particular incident, Christians were negative and rude. Now one desires to defend the Christian faith, and its poor representation, but at times, one must simply admit, that these followers of Jesus let the team down. Sometimes Christians are very judgmental; sometimes we simply appear to be so. Let me clarify for you, before you move on to washing your car, making dinner and putting the kids in bed. People of Christian faith are regularly making moral judgments about what is going on in their reality and in their world. Though one must surely distinguish between being judgmental and making judgments. I thought about this for a moment. Wait a minute, it is someone’s place to make a judgment. Say Johnny Smith puts his hands up to become a Clergyman, after some of his previous professions hadn’t gone too well. He’s out of work and sees an opportunity. Now, I’m not saying Johnny shouldn’t be able to become a Priest, but the fact is, someone needs to make a judgment call at some point. Should Johnny be able to become a priest? It is not judgmental in a negative way, to go through the right processes, of prayer, background checks, psychological testing, interviews and the like to make a ‘judgment’ about Johnny’s capacity or otherwise to do the job he feels called to do. Christians make judgments. Well, we all make judgments. We make decisions on whether we will buy that new jumper, or wear the old one in the cupboard. We decide if we’ll take out that loan or not, and we decide whether we’re going to eat out and cook at home again for another night. Employers make judgments about employees. Politicians make judgments about new policies. Farmers make judgments about how they’ll prepare their crop. Dancers make judgments on their choreography. The issue then, is not that Christians make judgments or are judgmental (in the strict sense of the word), but there’s something else at play. 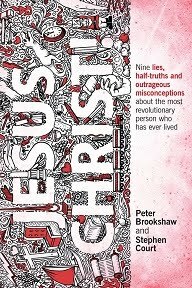 Could it be that what infuriates unbelievers the most, is not so much that Christian’s have a say about a particular topic, but rather it’s the content of what they say that annoys them. So, it’s then, not so much that Christians make judgments but it’s what they find to be so important in life that drives others crazy. Let me go down this rabbit warren for a moment. Most people, in secular democratic societies today are big on free speech. You have a right to speak your mind, and you have a right to a particular ideology. You have human rights and that affords you the luxury of choosing which way you lean politically, creating your own view on the environment and making an opinion about the latest music. Wait a second: If your belief system is challenged, the other person may not be intending to be ‘judgmental’, but is probably just them making particular comments about the aspects of the beliefs to which they have a different view. So there’s a difference from being negative and judgmental to offering up an opinion that runs in stark contrast to the one listening. Here’s the challenge for communities of faith today. Our views and forthright opinions that we express in church communities can come across as judgmental to those listening. That may not be because we are purposefully being antagonistic, but rather, that what the listener is hearing, is so at odds with their own world-view, it appears judgmental and harsh. How do we deal with this issue? Is it simply the work of the Holy Spirit to convince those that hear what we say has validity? Does that then mean it doesn’t matter how forthright we share the message of Christ and the Kingdom of God to a yet-to-be-Christian? People would surely seek to be part of churches if they were places that overflowed with respect, love and compassion and were communities that acknowledged people are on a journey of discovering the truth of God. We must show respect and love in the process. I don't mean to judge, but Christians can be negative, pessimistic and judgmental. We need to show another way. Our hearts need to be broken once more for those we serve and love. It can be easy to become jaded by this work. It is dirty work. It is hard work. Service and love should always walk side by side. We don’t simply hand a homeless man a cup of warm soup because it is “our responsibility and obligation”, no, instead we do it because we care for that man. It is not just a duty to perform and then we are on our way, it MUST go deeper! God’s prevenient grace came to us even when we did not deserve such a gift. He came to our level and poured out upon us such a lavishing love – His One and only Son Jesus Christ. This is why we serve. This is why we put on our uniforms and go out into the streets of our communities. What do I mean by “Dirty Salvationists” you ask? What I mean is that we have to go to the places where the lost are located. We were once lost until we came to the saving knowledge of Jesus Christ. Since we accepted that saving, we should be willing to go to those places where the lost and dying are still chained to their sin! It might not look like a church, where are must go and reach those who are hurting, but the places that Jesus went didn’t look like a church either! Didn’t someone, long ago seek YOU out? Did they not take the time to come to your level, to roll up their sleeves and get dirty so that we might be cleaned? I recall countless of godly examples of Salvationists who embodied Christ to me while I was still ignorant in my old ways of living. Their kindness and love showed me what it meant to be like Christ. With that being said, we cannot be afraid of those “dirty” places. Those places where the “unclean” or unsaved reside. We cannot cower within our corps buildings and expect people to come to us. We have to get our hands dirty by accepting this important work that the Master calls us to. This work first begins within our hearts. Are we prepared to say to Christ, “Use all there is of me for Thy purpose”? This statement can be deeply impactful on our lives. It places God’s priority over ours. 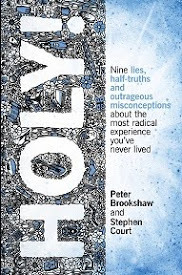 It clears the various barriers of “self” away so that we might be Holy and then do Holiness in our lives. Catherine Booth once said these very profound and I believe prophetic words, “It is a bad sign for the Christianity of this day that it provokes so little opposition. If there were no other evidence of it being wrong, I could tell from just that. When the Church and the world can jog comfortably along together, you can be sure there is something wrong”. Today, it is very easy for the Church to simply ignore sin and its effects on people. I don’t wish to meddle or prod here, but the easy road is often taken because we don’t want to point out immorality in our world for fear of criticism and loss of popularity. The sad thing is that many within the Church are more afraid of what the world will say rather than what God will ultimately say. Salvationists, if we aren’t willing to get our hands dirty…if we aren’t willing to stand up for those without a voice in our communities…if we aren’t willing to be sent out by God anymore because we are fearful of critics and hatred, then we have truly lost what it means to be a Salvationist. So let us roll up our sleeves. Let us become dirty Salvationists who are willing to get on our knees in prayer for the drunk who loiters on “Army property”. Let us throw off the fears of public condemnation and worries of how it may be perceived – and live out our calling within this Mission as Salvationists and as Christ-followers! Jesus went to people where they were…shouldn’t we as well? 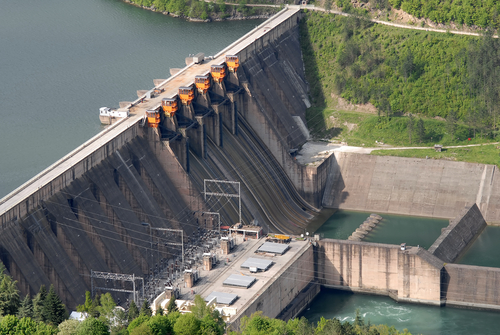 Spiritual Breakthrough in Difficult Times: The Dam Walls are about to Break! "Two little mice fell in a bucket of cream. The first mouse quickly gave up and drowned. The second mouse, wouldn't quit. He struggled so hard that eventually he churned that cream into butter and crawled out. Gentlemen, as of this moment, I am that second mouse." - Frank Abagnale Sr.
We're about to churn some cream into butter. Sometimes we feel like we've fallen into a bucket of cream and we can't get out. We're stuck. At times we feel like we’re in a season of drought. We sense we're in a season of incredible challenge and growth. It's painful. It hurts. But the season is there for a reason. God at times can be the one who leads us into the desert. The Holy Spirit led Jesus into the wilderness. He spent 40 days in the wilderness, then, he came out of the wilderness full of the power of the Holy Spirit. It realigns our focus on what matters. We cry out to God more. We establish a foundation on God rather than self. We develop an understanding that without God we are nothing. We are caused to rethink what we value. We begin to value prayer over programs. We start valuing each other more than ourselves. We appreciate gathering together to support one another. We realise that we can’t do it through our own strength. If you’re looking to get out of a time of drought, I’ve got some good news for you. One of the sure fire ways to get out of a time of drought is through prayer and repentance. Now, don't tune out just because I've given you a couple of answers and you can tick it off the list. This is crucial. There is power in repentance. Let's have a look at an Old Testament Scripture. Leviticus 9:1-7 – ‘…Moses called together Aaron and his sons and the leaders of Israel. He said to Aaron, ‘Take a young bull for a sin offering and a ram for a whole burnt offering, both with no physical defects, and present them to the Lord. Then tell the Israelites to take a male goat for a sin offering for themselves and a year-old calf and a year-old lamb for a whole burnt offering, each with no physical defects. Also tell them to take a bull and a ram for a peace offering and flour mixed with olive oil for a grain offering. Tell them to present all these offering to the Lord because the Lord will appear to them today…. The Israelites presented sin offerings to God, and then the Lord’s presence came upon them. They spent time in repentance and THEN the presence of the Lord came. See here's the thing: Quite often Christians today want the presence of God to bless them, then they'll start being obedient. "Well God, if you start working in my life, I'll start doing what's right." You see, it doesn't work like that. We are called, to present ourselves before God in repentance, then the presence of the Lord will work in a greater measure. So it is through Jesus that we lay down our sin offerings. Our prayers of repentance are offered through Christ. In the drought, we pray prayers of repentance. We humble ourselves. We get ourselves right with God. We say prayers like, ‘God forgive us.’ ‘God, sorry for the times I got it wrong.’ Dare I say, we should always position ourselves to pray like that, but in times of a spiritual drought, such prayers are even more crucial. In a spiritual drought: PRAY. Spiritually dry moments are where we find ourselves in a place where we need to seek God like never before. No holding back. Prayer is not just a good idea in spiritually trying times, but when you’re in the drought and desperate to get out of it, you see prayer as essential! ‘When the Philistines heard that they had anointed David king over Israel, all the Philistines went up to seek out David; and when David heard of it, he went down to the stronghold. Now the Philistines came and spread themselves out in the Valley of Raphaim. Then David inquired of the Lord, saying, “Shall I go up against the Philistines? Will You give them into my hand?” And the Lord said to David, “Go up, for I will certainly give the Philistines into your hand.” So David came to Baal-perazim and defeated them there; and he said, “The Lord has broken through my enemies before me like the breakthrough of waters.” Therefore he named that place Baal-perazim. (2 Samuel 5:17-20). The breakthrough that David is speaking of, is like when a Dam breaks, and the water rushes out. You know, the walls of the dam have been holding the pressure of the water for a long time and when the dam gives way there is breakthrough. Prayer causes the dam walls to break! You need to understand, God is the master of the breakthrough! You may be in a spiritual drought, but the dam walls can break at any time. Watch out devil, because what you intended for harm, God is going to use for good. Prayer and repentance precedes a revolution. It's time for you to churn some cream into butter. Don't give up. Don't backslide. Don't run. God is the master of the breakthrough. Through prayer and repentance, the Lord will take a drought and make it a harvest. He’ll take lack and made it abundance. He’ll take sickness and replace it with a healed body. This is the truth. Jesus is the King of Kings. Jesus is the first and the last. Jesus is the ALPHA and the OMEGA. He is the name above all names. He is the Lord of the harvest. He is our peace. He is our deliverance. He is our salvation. He is our Hope. He is our joy. In him is forgiveness. In him is purpose. In him is joy. In him is righteousness. In him is LOVE. In him is the well spring of living water. THE DAM IS ABOUT TO BREAK! Through prayer and repentance, walk out of the wilderness and the drought with your head held high. And may you say, God we did it! We made it! We conquered this season! When you get knocked down, you get up again. I declare a harvest. I declare a new season. I declare a new thing. I declare, God, all the best you have for me. I declare those dam walls to break! I love The Salvation Army. Now don’t hear me as being someone who lacks the ability to critique a movement to which I have committed to serve my life in. Far from it. But, that being said, I love The Salvation Army. Maybe we don’t say that enough. We are so ready, as we would say in Australia, ‘to take the Micky out of it’. That is we are quick to find the negative and let that be the content of our conversation. Repentance and humility is needed. Absolutely. But let me take a different approach right now. The list I offer to you is not ’9 reasons why I chose Salvationism over something else…’ I’m not attempting to compare the mission and ministry of The Salvation Army with that of the church down the road. I want to point out ideas, concepts and reasons why I feel absolutely connected with the work of this movement. I want to offer to you, in no particular order, 9 reasons why I’m a Salvationist. I surely should have some reasons; I mean, I had put aside other ambitions in life and sacrificed other things to become a Soldier in The Salvation Army. You may have your own list. Here is mine. 9 Reasons why I’m a Salvationist. Why I’m a Salvationist: Reason 1 – I want to fight to make a difference in the world. Salvationism best expresses my own inherent desires to stand tall and advocate against injustice, to work to rid the world of sinfulness, through Jesus Christ. There is an alignment between what I desire to do in my life with the mission to which God has called The Salvation Army to participate in, and that which the Lord would have us do. I’m still ok with the para-military nature of this ‘Army’. I can hold the tension between a pacifist, compassion-filled, Jesus-focused kind of ministry, with the need to fight. To water down the ‘fighting’ aspect of The Salvation Army, I believe dilutes the passionate, aggressive drive within us to combat injustice and right the wrongs of a broken society. We can reconcile a call to compassionate ministry, with a resolute commitment to speaking out against discrimination and fighting for the rights of the last, lost and the least. In fact, to not fight for such things is not compassion at all. Why I’m a Salvationist: Reason 2 – I have joined a movement that has agreement on foundational doctrinal statements. I don’t aim to be theologically controversial in this article. We have tried and tested doctrinal statements that provide a great foundation for the faith to which we profess. One may critique the wording and the nuances of such statements, and I welcome that, but that doesn’t alter the fact, for me personally, that such beliefs undergird my commitment to this movement. See, we believe in the Father, Son and Holy Spirit. We believe people can be sanctified. We believe people need justification from sin that only Jesus provides and they need the regeneration of the Holy Spirit. We believe in the eternal happiness of the righteous and the endless punishment of the wicked. The ground hasn’t shifted such that we no longer uphold the nature of God, original sin, justification, holiness, and the like. I love the consistency of theological belief across this global movement. Why I’m a Salvationist: Reason 3 – We integrate the work of evangelism and social justice. We don’t separate the two and place them in two different buildings with two different line managers and never the twain shall meet. No. As William Booth said, they are like Siamese twins. As I wrote in a recent blog post, ‘When the gospel is only about the salvation of souls we deprive Salvationism of the fullness of the work of Christ. When the service of God through The Salvation Army is only about cups of cold water to those in need we can let people go spiritually thirsty. Captain Andy Miller III in his new book Holistic Hospitality says, 'The way in which people understood [the] balance between what is social and what is spiritual was an issue in the beginning of the Army and is still an issue today.' He mentions that in some points of The Salvation Army's history we had 'dynamic holistic missiology'.’ See the post: Controversial Ideas The Salvation Army needs to wrestle with. I love when I witness the amazing power that happens when someone follows Christ and at the same time is finding shelter, forgiveness, food and reconciliation. Why I’m a Salvationist: Reason 4 – I have joined a global movement. I believe we are yet to grasp the significance of having global interconnectedness. When a powerful move of the Holy Spirit impacts enough territories within the Army, it will spread like an Australian Bushfire through the entire movement. In today’s technological culture, let’s not sleep through an era in which there is so much potential. Can I be honest for moment? I am disappointed there are not more Salvationists using the platforms of social media to make a difference in the world. I wrote a blog the other day and it had 1,700 readers in two days. That’s more than my Grandma and Great Aunt. Your God-ideas can go global in minutes. Why are not more Salvationists embracing it? Why are there not more Commissioners with Facebook pages, using their God-given position and the ‘brand’ that that represents and use it to grow the Kingdom of God? Why are there not more social justice advocates with far-reaching twitter accounts? We have global connectedness in The Salvation Army. It is largely underutilized and over bureaucratized. Speak out about Jesus! Advocate for the oppressed! Use all the avenues given to you to make a difference! 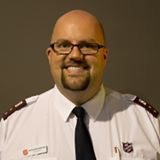 Why I’m a Salvationist: Reason 5 – What grabbed hold of me when I first became a part of a Salvation Army community of faith (when I was 18), was the welcome I felt within that community. This wasn’t some manipulative welcoming that was intended to simply grab another recruit or fill an empty chair on a Sunday morning. There was something alive within the Corps that made me feel alive. People would join together every Sunday night after the meeting and go out for pizza and pasta. We would laugh until our bellies hurt and eat until our bellies hurt. I couldn’t go past the welcome that these particular Jesus-people offered. See, I didn’t receive that welcome at the local sporting club, and I sure didn’t have that kind of community in my schooling years. Some of your hear this and say, ‘Well, I haven’t been part of that kind of welcoming community. In fact, where I was, there was only judgmentalism.’ I’m sorry if that was your experience. But, what I am saying, is that one of the core reasons why I personally am a Salvationist today is because of that amazingly warm welcoming spirit that engulfed me at that local corps. May we replicate such inclusive community in our local expressions of Salvation Army ministry. 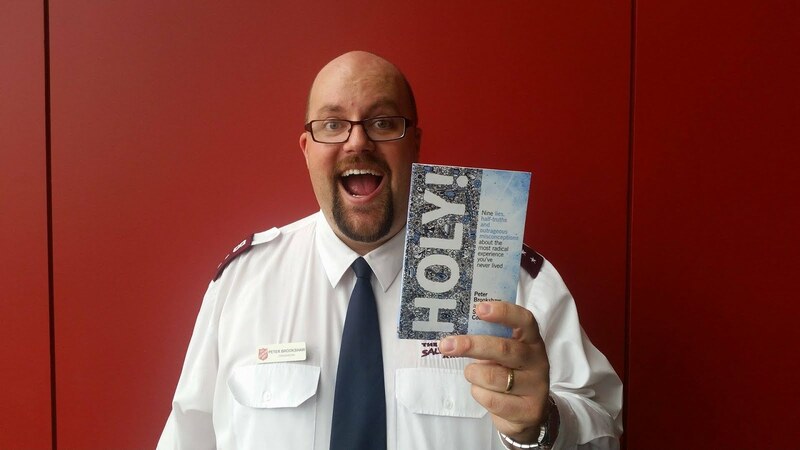 Why I’m a Salvationist: Reason 6 – The history of The Salvation Army fires me up and still does. The explosive growth of The Salvation Army, in particular the years 1878 – 1890 absolutely grips my heart. How could God raise up a movement that radically expanded into scores of countries within years? What was it that drove a 16 year-old girl named Eliza Shirley to move from the UK to Philadelphia, U.S.A. to open fire in a new country? Why would Edward Saunders and John Gore be so passionate about this Christian mission, that in the late 1800s they stood on the back of a greengrocer’s cart in a park in South Australia and preached the gospel and offered people a meal? Why would Salvationists be praying ALL-NIGHT and even run out of room in the prayer meetings, because the facilities were not big enough to accommodate all those attending the prayer meeting? Why would Salvationists like William McKenzie be in the trenches in World War I, praying with Army soldiers, leading funerals, running out into battle with the troops and being a chaplain in such a volatile, horrific situation like WWI? What drove William Booth to travel the world to raise up such a movement? The passion, tenacity, focus and faith-filled dynamism of such Salvationists still inspires me today. They lived for something that drove them to their knees in prayer, that called them to leave the comforts of their own lifestyles, and to partner with God with vision that sparked a world-wide movement. God, may we replicate the passion and drive of such Salvationists today. Why I’m a Salvationist: Reason 7 – One of the reasons why I’m a Salvationist is because of what I believe God wants to do through The Salvation Army in the days ahead. This is a faith thing and isn’t related so much to what has gone before and what is even happening now (as good as that has been and is). There is a little belief that pounds on my heart that won’t go away. I liken it one of my children, sitting in the car, saying, ‘Dad. Dad. Dad… Dad… Dad! Dad. Dad. Daddy. Dad. Dad.’ The little voice is constant. I believe it’s the whisper of the Holy Spirit and the regular reminder in my mind of what the Spirit has said. The best days are still ahead for The Salvation Army. I’ve said that 37 times and I’ll say it again. It’s not that God is not doing great things now. Sure. God is. I love it. I celebrate that. I’ve heard some of the stories. I agree. That’s awesome. Though, imagine the days when the Holy Spirit is spreading through this movement in new and radical ways. Muslims are becoming followers of Jesus by the thousands. Officer numbers are increasing one hundred fold. Corps planting is hard to keep up with. Conferences are jam packed. Homeless shelters are being established like no tomorrow. We are raising up new hospitals, rehabs and communities of faith in low-socio economic areas that makes the past pale in significance. Call me delusional. Call me crazy. I believe that when the Spirit moves afresh upon us (as we allow Holy Spirit to do that) and when we move from an institution to a movement ethos we will witness global transformation. Sometimes you have to build an Ark in a desert because you know sooner or later God is about the send the rain. Why I’m a Salvationist: Reason 8 – We have a radical, sold-out commitment to the last, the lost and the least. Jesus clearly expressed a leaning towards helping the poor, the outcast, the rejected and the seemingly unlovable. His first public speech, as recorded in Luke’s gospel, is one where he quotes Isaiah 61, and he affirms his commitment to preaching good news to the poor, to healing the brokenhearted and to setting the captive free. 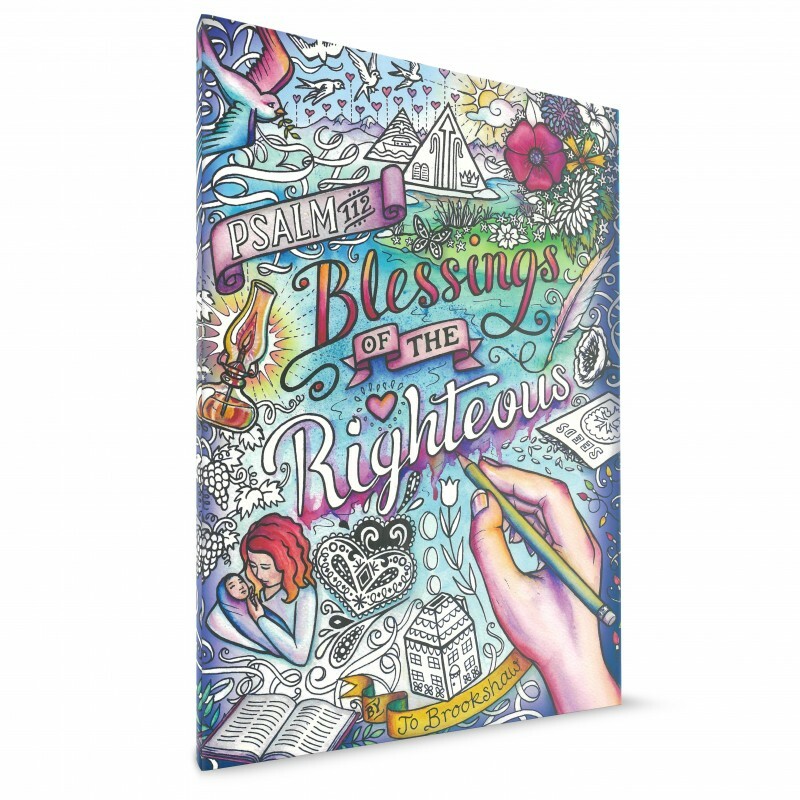 He then stirs up the crowd and suggests to them that the people of God are sent to be a blessing to more than just the Israelite people, but to even the Gentiles! I admire employees, Salvationists and volunteers who have laid down their life to serve the most vulnerable of our communities. The stories I hear are of chaplains sitting for copious amounts of time listening and mentoring broken people. They include stories of volunteers giving lifts to people who are stranded and employees going to great lengths to encourage an alcoholic to reform the way they think and behave. The commitment I see in these workers within our movement is inspirational. 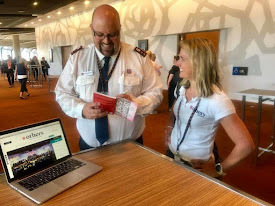 I’m a Salvationist because I align the call of Jesus to minister to broken people, and see The Salvation Army as an amazing vehicle to fulfil that mission. Why I’m a Salvationist: Reason 9 – We do stuff. Yes, that’s right. We don’t just sit around in our ecclesiastic structures intellectually debating controversial theological issues. We do something about that which we believe. The pragmatism of The Salvation Army motivates me. Some have critiqued The Salvation Army for not being intellectual enough; for not wrestling enough with theological ideas and concepts. There’s probably truth to that. Those with the gift of teaching should fan their gifts into flame and continue to wrestle with what discipleship looks like in a rapidly changing 21st Century. Though the pragmatic, ‘do something’ kind of culture of The Salvation Army is exciting. Someone is in need and we want to help them. Someone is homeless, we want to house them. Someone is addicted, we want to set them free. We are pragmatic to the core and that’s one reason why I’m a Salvationist. There is always more to be said. Some of these ideas may inspire you. I hope they do. As we align our hearts with that of God’s, I pray that God truly would grant the desires of our hearts!